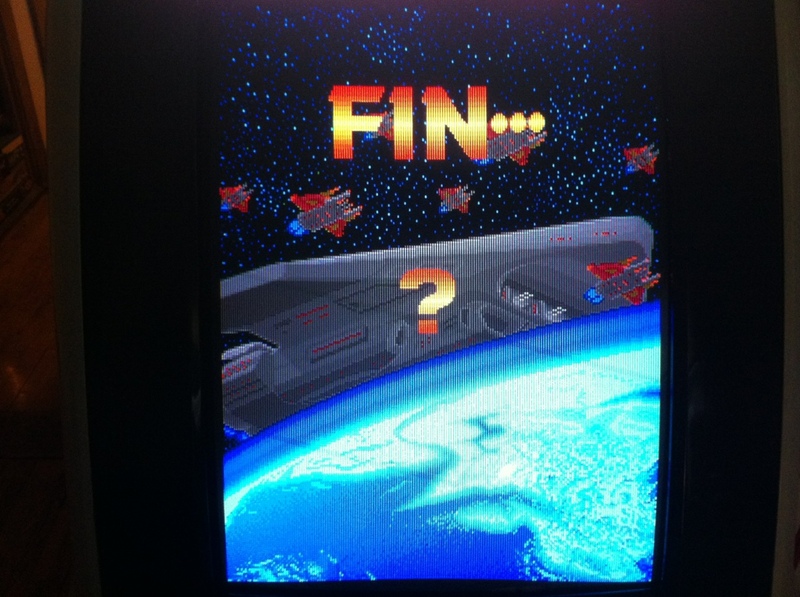 suicide bullets: Omega Fighter high score #3 - and second loop! 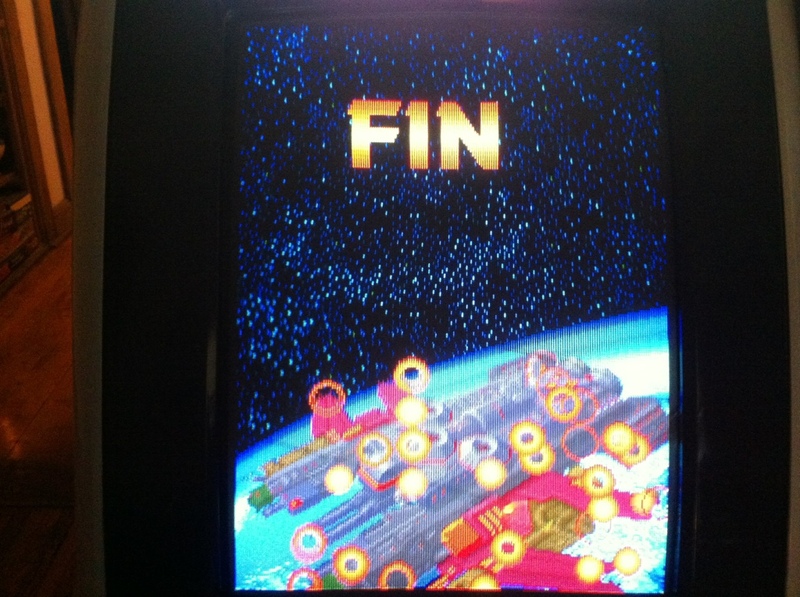 Omega Fighter high score #3 - and second loop! Man, I'm on a roll! 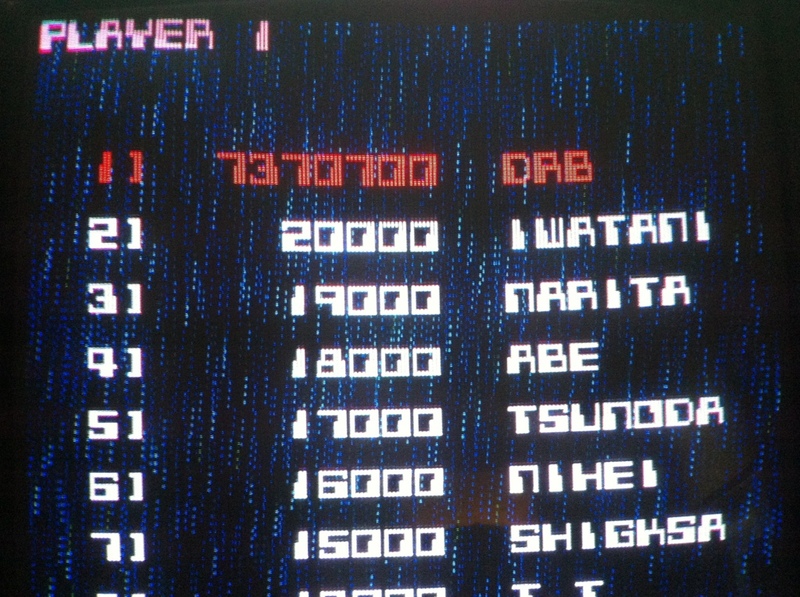 After I finish got to the second lop in DDP, I popped on Sky Shark for a bit, got bored of it and popped in Omega Fighter Special and tried to up my high score. I hit 5.9 and 6.2 million and got so close to completing the loop - making it to the end of stage 8 a few times - I knew if I kept on it, I'd make it. Well, about 30 credits later, I did it! 7,370,700. The last three stages are damn near impossibly with out being powered up but in stage 8, you get a chance to earn powerups - something you cannot do in stage 7, so if you can survive till the last stage and hold a red bomb heading into the boss - you got it made! I made it about a stage and a half into the loop as the bullets are much faster and much harder to dodge - especially from the turrets. I also noticed I didn't have any lives left after suiciding on the stage 1 boss for the million bonus, so that might have been a dumb move. 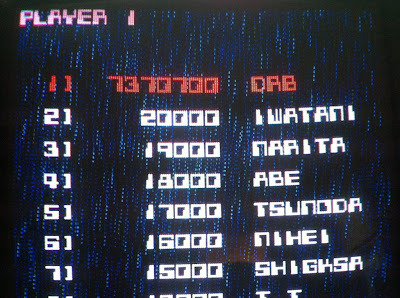 Omega Fighter Special is such a great game, one of only two proximity scoring games I can think of, with Ketsui being the other. UPL's best by far. Futari rewards proximity with green gems, I seem to remember. Whoops - anyway - yup - forgot about that. I never did gel with Futari. I should really go back to it soon and check it out. As it is, I have started in on Deathsmiles and Progear. Starting to work Progear a bit.